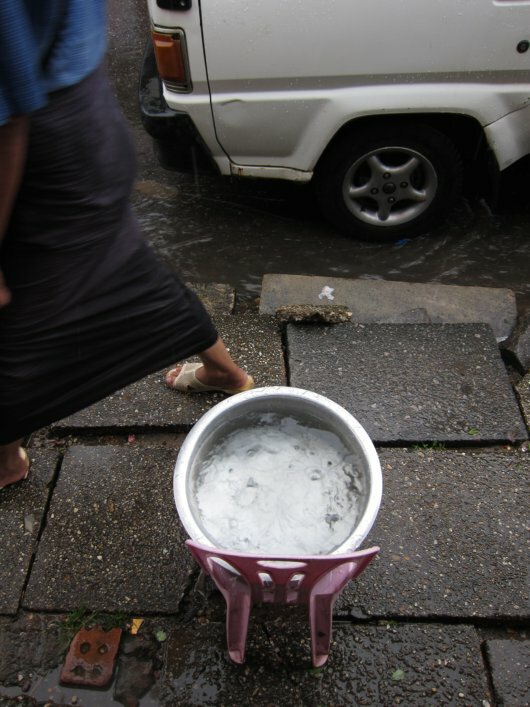 Most street restaurants in Yangon use the same kid-sized plastic chairs for both their affordability and portability. Restaurant owners must insure their establishment is mobile so they can transport it home with them each day. During a particularly intense downpour, these chairs become rain-catchers. The chairs keep the rain from creating as large a splash radius when it hits the sidewalk. 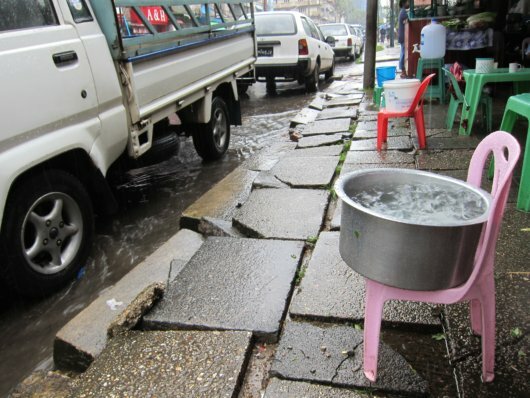 The chairs also help restaurant owners harvest the rainwater itself, a scarce resource in this country. Zach Hyman has been working internationally since he graduated in 2008 to try and understand what drives the decisions of low-income consumers. He is especially interested in using the insights he gathers to improve the marketing and distribution of goods and services tailored to this previously neglected market.